The Initial Franchise Fee for a single Studio is $49,500. The Initial Franchise Fee is non-refundable. AKT does not provide financing for the Initial Franchise Fee. AKT will not charge you or your Designated Operator for this portion of its initial training that must completed on behalf of the franchisee/owner under your Franchise Agreement. You will be responsible for the costs and expenses associated with attending this training (e.g., transportation, meals, lodging, and other expenses). The estimate assumes that you will attend training at AKT’s headquarters. The estimated AKT University Tuition Fees associated with your initial instructors is accounted for in the estimate of “Additional Funds” below. If you do not own adequate Studio space, you must lease suitable premises. These figures assume that the leased premises will be approximately 2,000 square feet. Landlords may also vary the base rental rate and charge rent based on a percentage of gross sales. In addition to base rent, the lease may require you to pay common area maintenance charges (“CAM Charges”), your pro rata share of the real estate taxes and insurance, and your pro rata share of HVAC and trash removal. You will also likely be required to pay a security deposit. This estimate assumes your security deposit will amount to approximately one month of rent. You must adapt AKT’s prototypical plans and specifications for the construction and finish-out of the Studio, including approved flooring, mirrors, and paint. This estimate includes the cost of installing any furniture, equipment, or fixtures that are required to complete the build-out of your Studio. The estimates presented herein are net of tenant improvement amounts incurred by the landlord. The low end of the range reflects modest improvements to a smaller location, and the high end reflects significant physical improvements to a larger Studio. You must purchase all signage and graphics directly from AKT. The cost of your signage may be more or less than this estimate, and depends on the number, size, type, and method of installation you choose. Each landlord has different restrictions it places on interior and exterior signage that may affect your costs. This estimate is for 3 months of your minimum required insurance. The actual cost may be more than shown here. You will need to check with your insurance carrier for actual premium quotes and costs, and for the actual amount of deposit. The initial required amount of fitness and exercise equipment for a standard Studio will typically cost between $20,000 and $27,900 and includes various equipment/supplies for use in connection with the provision of the Approved Services such as resistance bands/straps, interval training equipment, and weights, as well as certain other equipment used in connection with the Studio. Financing for certain equipment may be available, but neither AKT nor its affiliates provide such financing. If you choose to finance the equipment, your initial costs will be less than the range provided above; however, your overall payments may be higher. The typical for-sale items held in opening inventory are the apparel and other branded merchandise that you will be permitted to resell at your Studio as part of your Approved Products, including items such as t-shirts, towels, exercise clothing, and related accessories. The range of costs covers the expense to acquire the required local business permits. These estimated costs include building permits, fire inspection, sales tax permit, and retail sales permits. If an electrical permit is necessary, the costs may be more. The low-end estimate will apply to franchisees who already have the necessary licenses and permits in place prior to executing the Franchise Agreement. This is a range of expenses that will be incurred when decorating and furnishing the Studio, including certain components of the Initial FFE Package that you must purchase from AKT. Both the low-end and the high-end numbers represent a straight purchase of all furniture, fixtures, and related supplies (rather than leasing or making installment payments on these items). AKT will make available to you a certain business management software program specific for the Studio to be loaded on to your system. You will pay the third-party vendor directly for all fees associated with the use of the software. In addition to the POS and related computer equipment, you must acquire speakers, cabling and mounts, and other audio-visual related equipment and accessories necessary to provide the Approved Services. You are required to have at least 1 surveillance camera installed in the Studio. The camera(s) must be web accessible. You will use the camera to monitor teacher performance, quality assurance, and safety. AKT has an absolute right to also review and monitor the camera(s) for the same purposes as you, and to ensure compliance with the System. You are responsible for ensuring customer consent and for any failure to obtain such consent. You must indemnify AKT for any breaches of privacy from your use of any surveillance camera. AKT arranges for the shipping of all of your equipment and furniture/fixtures. These amounts may vary based upon the location of your Studio. AKT may require that you expend all or some portion of these funds on materials or services that are provided by its then-current Approved Supplier(s) for advertising or marketing, and it expects that you will typically expend these amounts primarily in the month(s) immediately preceding and following your opening. This is an estimate of certain funds needed to cover your business (not personal) expenses during the first 3 months of operation of the Studio. These expenses include initial employee wages; possible AKT University Tuition(s) if you decide to cover such fees on behalf of your initial instructors; ongoing purchases of equipment and supplies; marketing expenses/fees and local advertising; ongoing utilities (other than initial deposits); and repairs and maintenance. The Pre-Opening Instructor Training Fee for 6 initial instructors to attend AKT University at AKT’s corporate headquarters ($9,000 to $17,994) is included in the above estimated range of Additional Funds. 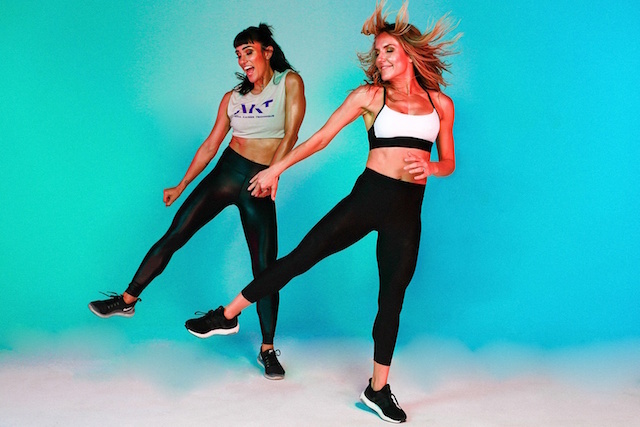 This estimate is based on: (i) the experience of the two full-time AKT locations open and operating; (ii) the experience of AKT’s sister brands in developing other fitness concepts and information related to their respective studio investment costs; and (iii) current estimates AKT has received from its Approved Suppliers and other third-party vendors.